After the bloody and successful robbery of the bank of Cuchillo in New Mexico, Henry's gang fled the scene and cautiously headed to the borders for a safe split of the loots. 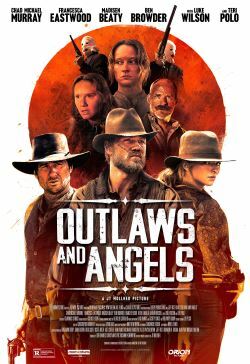 On their trail is Josiah, a competent bounty hunter, who with the aid of a few men, is trying to arrest them and collect the bounty. The night falls, and a seemingly isolated farmhouse looks like the best hideout for the gang to spend the night and carry on fresh in the morning. Unfortunately, there lives the family of pastor George Tildon, a religious man who lives by the word of God. The night seems to be very long and the tension keeps building, but it will be the morning sun that will shed light on hidden secrets and the darkness within them all.